A store which I have found to have some very beautiful items is Linsartwork. I have chosen it as my store of the month for April 2014. Linsartwork has some great watercolor paintings of various animnals, burds and insects. 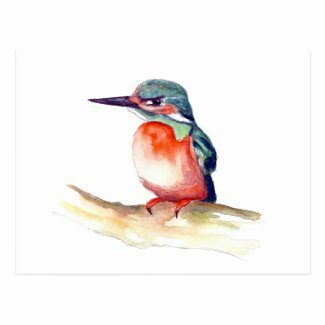 Particularly striking was this beautiful portrait of a kingfisher, available on several items from cards to tote bags. Take a look at items from the Linsartwork store by clicking on the image below.